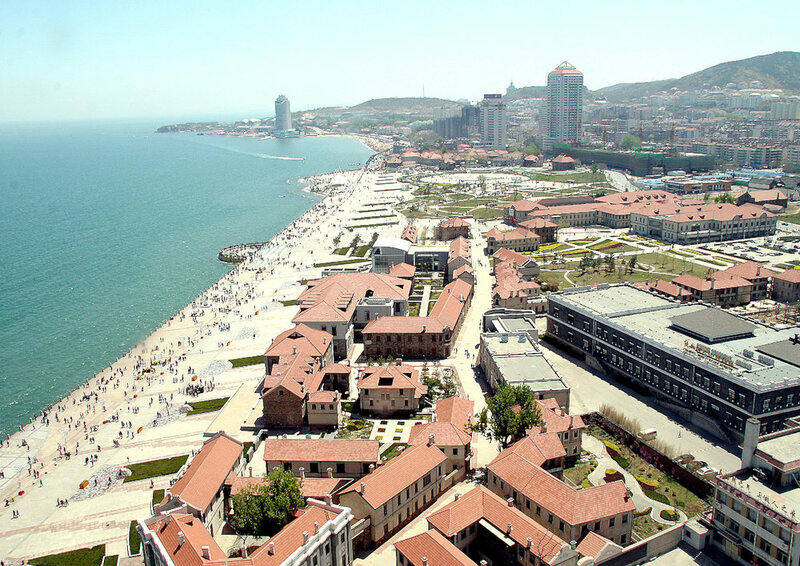 Kwan-Yen Panorama was the cultural and commercial revitalisation of Yantai's (Formerly Chefoo) waterfront heritage precinct through new cultural programming and business curation. 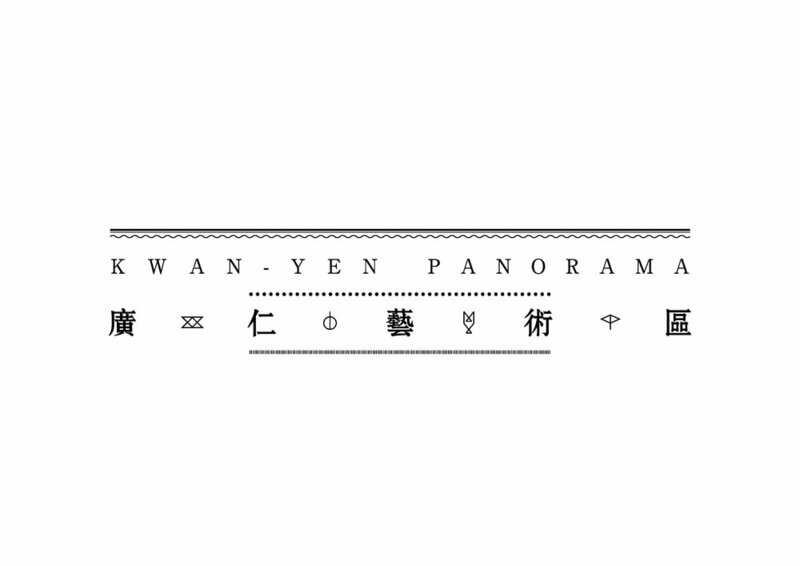 Kwan-Yen Panorama was initiated by China Chuangyuan, the current property management entity of Guangren Road Historic District in Zhifu District, Yantai City. Well known curator Ou Ning was approached in late 2015 to masterplan the cultural upgrade of the prescient, inviting SANS三思 to join the planning and implementation team as strategic planners in early 2016. With the support of the Yantai Municipal Government and the Zhifu District Government, the Guangren Road Historic District has begun to recapture the history and vibrancy of this pivotal city within China's modern history. "The future Guangren Road AREA will become an open and multi-dimensional space integrating business, social education and cultural creation." Yantai’s urban historical space is concentrated in the Zhiguo District, in addition to Qishan Machinery and Guangren Road, as well as Chaoyang Street (formerly known as Gipperich St. and Zimmerman St., Yantai Mountain, Dome, Tianhou Palace, etc. 909 km of coastline, 2.6 million hectares of sea, 11 Linhai counties, 63 bedrock islands, and the rare seaweed house tradition far from the British Thatch (Thatching), and the annual average temperature is around 12 degrees, no cold in winter The pleasant climate of Xiayuan hot summer, but today's domestic and international popularity of Yantai is difficult to match the history and natural resources it has. In 1881, the British Missionary Group China Mainland (CIM) Park was the pleasant climate and coastal of Yantai. Geography chose to establish a sanatorium here, and then founded the internationally influenced Chefoo School. 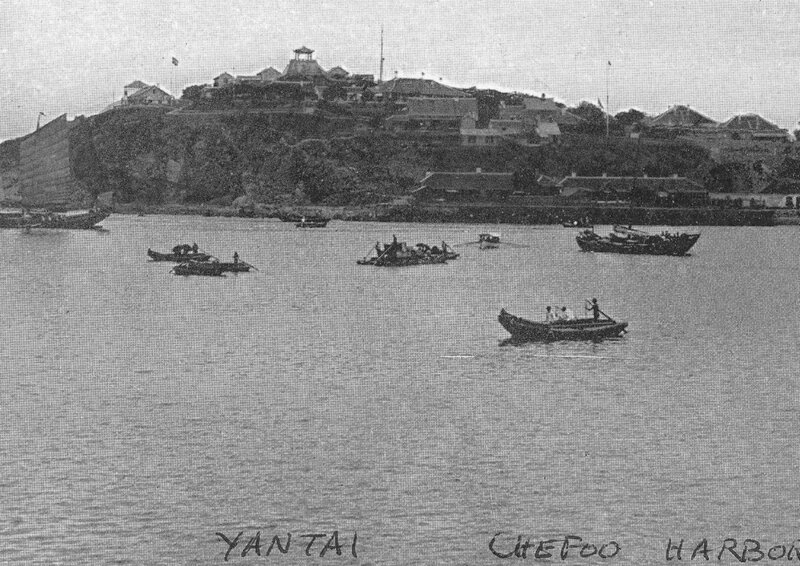 But the fascinating reputation of Yantai more than a century ago was buried in other domestic and foreign cities today. "You sing me to debut." In the promotion and marketing of the mouth. At present, the image of Yantai in the eyes of the world is still dominated by traditional tourism, its potential historical and cultural, commercial and innovative value. Cities around the world are undergoing a transformation of a comprehensive economic industry. Traditional industrial production methods are gradually being replaced by space production and cultural production. With the help of the Internet and innovative technologies, smart cities have become the target of people's contending. By upgrading the infrastructure, repairing historical buildings, introducing new economic formats and various cultural activities, and activating historical blocks to promote urban transformation and renewal, it is one of the strategies for competing in inter-city competition. Cities need marketing, cities need to forge their own brands, and the activation of historical blocks, mining urban memories and cultural genes, is the city's brand. Guangren plans to meet the 13th Five-Year Plan of Yantai Municipal Government "Cultivate the new style of modern culture: adhere to the correct direction of cultural development, strengthen the excavation and elucidation of traditional excellent culture, stimulate the vitality of national culture, promote the prosperity and development of cultural undertakings and cultural industries, and accelerate the construction The leading city of Jiaodong culture." The important goal. In addition to the improvement of the space environment, the activation of historical blocks requires the establishment of suitable businesses, culture, art and creativity to form a sound and sustainable cultural business ecosystem. The economic returns of the project are not all indicators of achievement. The cultural value, historical memory, Yantai people’s pride, urban brand, international popularity and social cohesion, which are difficult to quantify, can be presented through the “Influence Cloud Computing” evaluation system, so that all relevant Stakeholders can benefit from the social and cultural values they create. Guangren plans to break the simple commercial industry chain, and more needs to pay attention to the impact of cultural business activities on the upstream and downstream industries, and from policies to society. Guangren Art District is located in the center of Yantai City, the triangular area enclosed by Jiefang Road and Da Ma Road in Zhifu District, facing the sea in the north, Yantai Moutain Park Scenic Area in the west, the first coastal bathing area in the east, and the Binhai Central Business District in the south. Hotel and Shimao Square. The neighborhood is adjacent to the famous century-old company Zhangyu Company. It consists of Guangren Road, Cross Street, Qing'an Li, Yuelai Li, Ping'an Li, Gonghe Li and Chunde Hutong. There are more than 40 existing 26,000 square meters. Excellent historic buildings and a large number of coastal outdoor spaces and garden green spaces. Kwan-Yen Road is located at the east of the North Road of Jiefang Road, west of Jiefang Road, east to the cross street, with a total length of 530 meters. Guangren Road was built in the first year of Qing Xianfeng (1851), ten years before the opening of Yantai. In 1891 (the 17th year of Emperor Guangxu of Qing Dynasty), Daotai Sheng Xuanhuai of the Denglai Qingdao Department in Yantai established Guangrentang, the largest charity in Jiaodong, meaning Guangshi Renzheng, and later Guangrentang purchased land in the west of the road. Rentang was sent to the office, hence the name Guangren Road. The roads are mostly two-storey Western-style or Chinese-Western-style buildings. The road south is a multi-angled and convex building with unique design. The road also has some innovative villa buildings. After the founding of the People's Republic of China, the road was built as a residential building. The original streets were basically preserved. Some of the walls still have Chinese and English characters. The block retains Yantai's industrial and commercial buildings, public buildings, religious buildings, etc. : including the site of Shengming Electric Light Co., the former site of French medicinal materials company, the site of Xinlu Embroidery, the former site of the YMCA, the former site of the YMCA Public Library, and the former site of Yantai Embroidery. The site of the Guangdong Tourism Association, the former site of Yangzheng Primary School, the East Asian Cannery, the former site of Yantai Teachers’ Primary School, the former residence of Ji’s Residence, and the former site of Changyu Company are all valuable historical architectural heritages of Yantai, reflecting the development of Yantai in the past 100 years. The historical and urban landscape style is an important testimony to the birth of Yantai national industry and commerce and the rise of modern national industry. It is located in the north of the west section of Damasu Road, from Dama Road in the south to Guangren Road in the north. It is 300 meters long and consists of 3 streets. Built around 1890 (the 16th year of the Guangxu reign of Qing Dynasty), the auspicious word was named Yuelaili. Built in 1932 as a cement pavement. Before the founding of the People's Republic of China, Qixia Tongxiang Association, Hairnet Lace Industry Association (1928), Deyuantai, Yingxinfa. It is located at the north of the west section of Damasu Road, south of Da Ma Road, north to Guangren Road, 190 meters long. Founded in 1900 (the 26th year of the Guangxu reign of Qing Dynasty), the auspicious word was named Ping Anli. Built in 1932 as a cement pavement. It is located in the north of the middle section of Damasu Road, south of Da Ma Road and north to Coast Road, 580 meters long. It was built in 1911 (three years before Qing Xuantong). Take the name of auspicious Yuyi. Built in 1938 as a cement pavement. It is located in the north of the west section of Damasu Road. It is from Da Ma Road in the south and the dead lane in the north. It is 200 meters long. There is a branch lane in the lane. The road is mostly a building. Built around 1890 (the 16th year of the Guangxu reign of Qing Dynasty), the auspicious word was named Chunde Hutong. It is located in the middle section of the existing Da Ma Road, running from north to south, starting from the coast road in the north and going to Erma Road in the south, with a length of 480 meters. It was built around 1861 (the 11th year of Qing Xianfeng). Because the street crosses the main road to form a cross, it is called Cross Street. Before the founding of the People's Republic of China, the street was home to Huanwen Primary School, Huanwen Middle School, Hung Hom Word Association, Japanese Puppet Construction Bureau, Puji Hospital, Jiaodong Yipai Newspaper, Dairy Industry Association, Meifeng Yanghang, Ruitai Factory and so on. It is located in the south of the middle section of Guangren Road, Guangren Road in the north and the dead lane in the south. It is 110 meters long. It was built in 1890 (the 16th year of the Qing Emperor Guangxu), and was later named after the political words. Another said to use the phrase "common and harmonious" to name the lane. The lanes are all old-style buildings and villas, and today they retain their old appearance and follow the name. Create cultural landmarks and promote industrial upgrading: The Zhizhi Academy in the park will become the architectural and cultural landmark of the Guangren Art District. The internationally renowned artist/curator Ou Ning is responsible for the planning. The famous Chinese architect Dong Gong (direct Architecture) is responsible for the design, excellent graphic designer pony + orange for visual design. Focusing on the current trend, we will build a new business structure and focus on China's growing tourism domestic demand, experiential shopping and publishing/education markets. At the same time, it pays attention to protecting the historical and cultural heritage in the area, making them easy to be discovered and easy to visit; balancing the relationship between parking commercial facilities and public space use; creating public spaces with different scales and interesting tastes; adding rich and diverse business formats, increasing the overall The number of merchants; emphasis on safe and independent pedestrian blocks, and gradually complete the optimization of the business. Guangren Art District is a new social education community that combines public art, architectural protection, historical neighborhood activation, cultural and creative industries, business and leisure. As the physical space in the area that Guangren plans to rely on, it has a unique natural environment along the coast and mountains, and a historical block that carries the legend of Yantai. It is a natural place combining natural and human history. The region will first create exemplary flagship institutions such as the Zhifu Academy, Guangren Art Center, and the Chocolate Museum, as well as the cross-street creative district pilot area, which will continuously inject the experience of community activation and education innovation into the Guangren Art District. Through the meticulous construction of the neighborhood's ecological and cultural construction, it forms a multi-complementary and vibrant urban life field, and finally becomes a new landmark to highlight the local art and humanistic spirit, and constantly shape the city's influence in Yantai. Guangren Art District will provide a rich and colorful cultural life practice table for Yantai citizens and visitors from all walks of life. These productions will break the seasonal limitations and successfully launch the night mode of Yantai city life. In the future, Guangren Art District will become a place for some of the world's international culture and art to reach Yantai. The Zhifu Academy is the core of the Guangren project and will become a unique cultural landmark in the Guangren Art District. It is an independent bookstore, a college, a research institute and a library, and a consortium that covers all aspects of contemporary cultural life. After completion, the Zhifu School will carry a variety of functions from research, production to sharing, and will consist of education, exhibitions, cultural creation, publishing, dissemination, and offline activities. It aims to explore a de-schooling education method for all people. Whether it is local or international, the school will offer quality content, effectively gathering knowledgeable youth and opinion leaders from all walks of life. Cultural public. In addition to providing a large number of books, cultural and creative products, coffee and other aesthetics of life in Chinese and foreign languages, Zhifu Academy will organize more than 100 cultural events each year, and invite scholars and artists from all over the world to hold lectures, seminars, and Workshop and map bookmarks are sold. At the same time, it is also a radioactive institution, linking more than 20 universities and middle schools in Yantai, and also exporting a small public welfare community library to Qishan City. The school has established the "Chefoo Researcher in Residence Program" (CRIRP), and welcomes individuals who are interested in the historical and cultural issues of Yantai to use the resources and various additional facilities. Increase the average stay time and increase consumption in Yantai City. 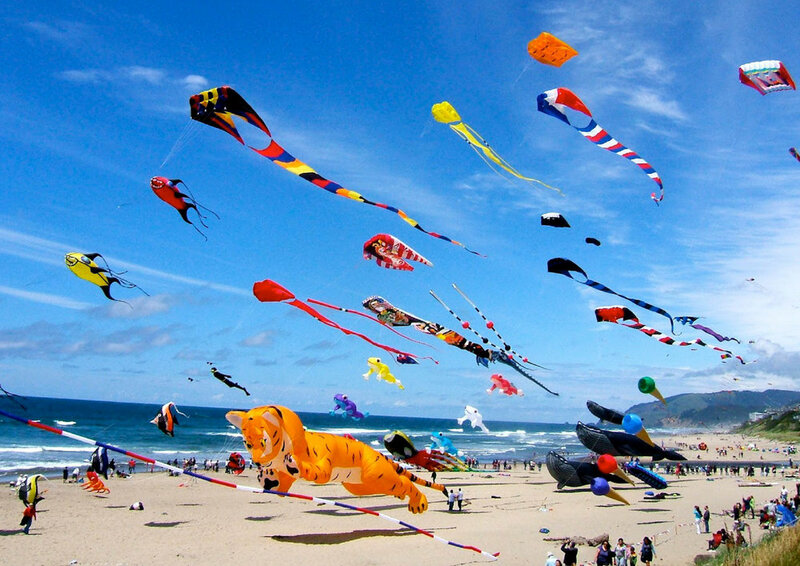 Introduce more Yantai tourism products and increase the choice of tourists in the local area. Extend the family and children of the seaside to the building and extend the impact to the experience/immersion learning education market. Emphasize the introduction of public education/learning activities and increase catering businesses suitable for families. Focus on Chinese and international fashion, lifestyle trends, have their own insights and responses, will follow social media, participate in the public activities of the season. A place where you can send friends, active social media updates. Feelings of consumption. Evening activities, bars, music scenes. Health, live, running, suitable for sports and leisure products and services of different ages. Combine the outdoor space, change the seasons, highlight the advantages of the natural environment, and provide seamless connection facilities. Emphasize the distinctive seasonal theme, but not limited to the narrow concept of the four seasons, forming a clear rhythm of the whole year. The key node activities are between seasonal theme alternations or season climaxes, and the primary and secondary are distinct. The local relevance of Guangren Art District is developed: from the perspective of nature, culture and commerce, the Guangren Art District “the most Yantai here” is redefined. The Guangren Art District creates a number of public spaces of different sizes and styles to carry out activities organized jointly or independently by the park and merchants. Constantly create popular hotspots, encourage businesses to use the outdoor space. In combination with the excellent visual guidance system, rich cultural and artistic activities, architectural guided tours, etc. are held every month or even every week. Organize temporary stores and market outlets and use them as pilot projects to investigate potential new businesses. Activate space through short-term temporary activities.